I've got a super pretty polish from Born Pretty Store to show you today. 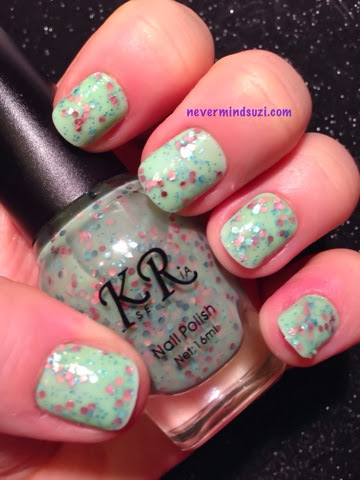 You can buy this fabulous polish here for $4.36 or £2.65! A milky mint coloured polish with teal micro glitters and copper and silver glitters. This is two coats and it has a lovely smooth finish. This polish is so "on trend" at the moment and for a fraction of the price that some other brands are selling similar polishes for. Be sure to check out Born Pretty Store for lots of fabulous pretties and don't forget to use STPX31 for 10% discount of all full price items, and don't forget the free worldwide shipping!